Episode Seven! 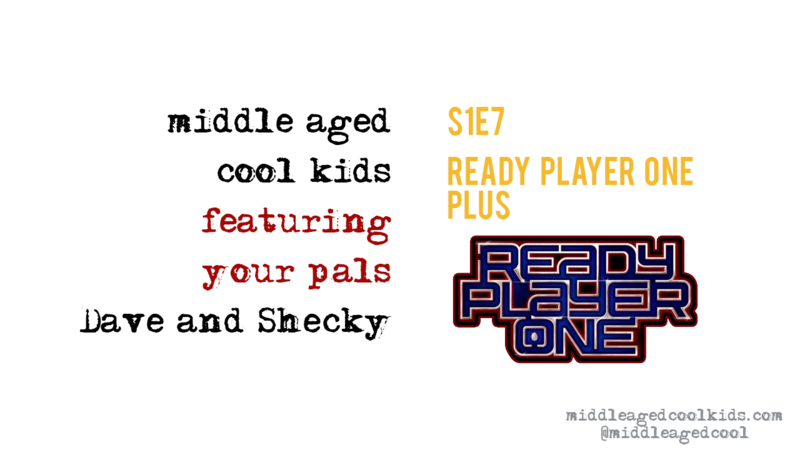 The Ready Player One episode! I suppose we could have done another Watch Along with this movie, but I think we both really wanted to just watch it like a couple of normal people the first time through. The graphics and the concept are so fun, especially if you like gaming or Second Life or a combination of those. Tons of pop culture references for the middle aged cool kid in everyone can be found throughout. Plus! A great soundtrack, also seemingly aged at ours truly. We don’t spoil the ending but we do talk a lot about some specific stuff that goes on. We give our ratings and also name our favorite Spielberg movies. We also talk about IMDB and their top 250 movies list, some of which are ridiculous. Dave shares what’s on his “turn table” this week. Spoiler Alert: It’s ART BLAKEY!